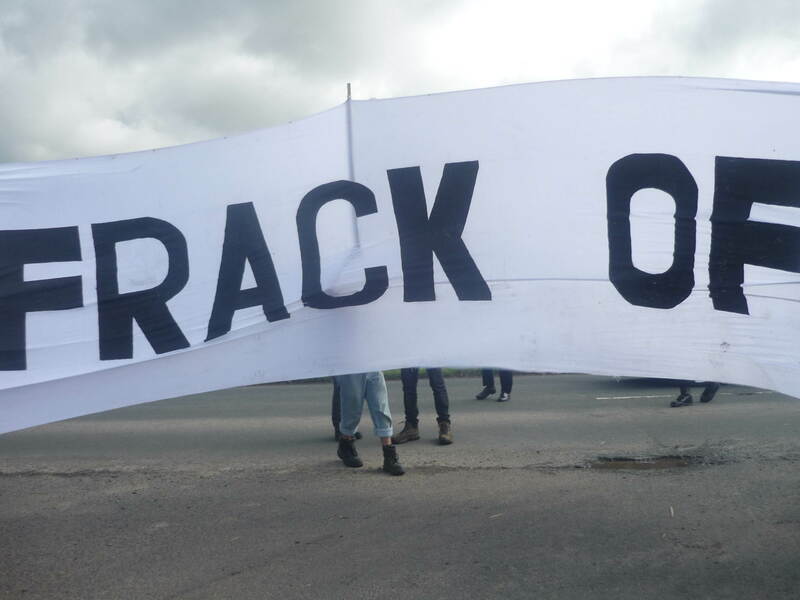 Despite rough weather conditions, hundreds of protesters attended Camp Frack 2 at Mere Brow in Lancashire last weekend to demonstrate their opposition to fracking and support for climate jobs. Organised by a coalition of local and national anti-fracking, Trades Union, and environmental groups including Campaign against Climate Change, Camp Frack 2 brought people together from across the country to demonstrate a unified front and share campaign strategies against hydraulic fracturing. The weekend involved talks, presentations, workshops and a protest action which brought together hundreds of local and national activists. 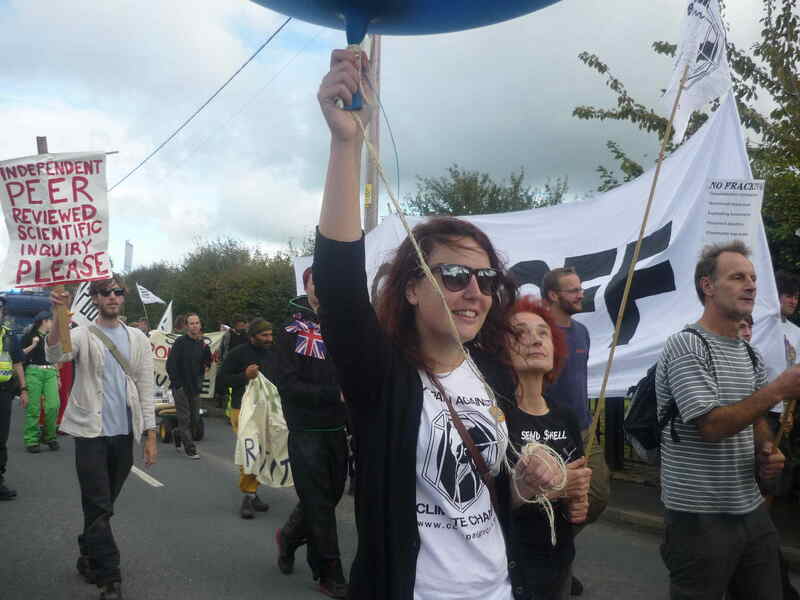 In September 2011 Campaign against Climate Change, REAF and other climate groups organised Camp Frack (1) to protest against plans by Cuadrilla Resources to drill for shale gas. Out of this camp the group Frack Off came into existance. 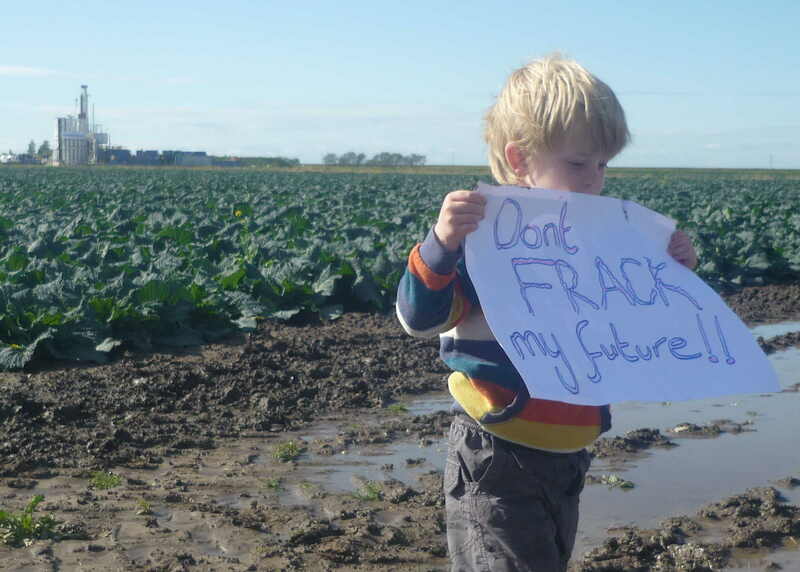 Since then the anti-fracking movement in the UK has grown, with more and more local groups resisting plans for this dangerous and extreme method of energy extraction. Programme includes live music, presentations and workshops, film showings, discussions on campaign strategy, children's entertainment, poetry, protest action and lots more! For the provision programme click here. There will also be a choice of freshly prepared vegan and vegetarian foods available onsite. Saturday 11th: 10.30am-11pm - Workshops, music, etc. Due to the cost of the event we will need to charge £12 per pitch for camping (includes free admission to the entire event) and Day Tickets are £2 for adults, £1 under 18s, £5 for a family. For free access, help out or steward! (See below). Want to help? (This will grant you free access to the event, beer tokens and meal vouchers.) We are looking for stewards, first aiders and artists: please check our steward page and email us now at stewards@campaigncc.org. Organised transport: There will be a minibus heading to the site of Camp Frack 2 from York Way (N1 9AA), Kings Cross, on Friday at 13.30 and leaving from the site on Sunday at 14:00. Each individual registering will be asked to pay £32 (return) to contribute to the travel cost of hiring the vehicle. TO REGISTER FOR TRAVEL, CLICK HERE. Buses: Bus route 2X runs approximately half hourly seven days a week between Preston, Mere Brow and Southport, running past Preston station and close to Southport station. Buses run through to and from Liverpool as route X2. Note that the last bus from Preston (Mon-Sat) is at 19:24, but there are later buses from Southport (till 22:11). Mere Brow is also served by route 347 between Chorley, Rufford and Southport, but this isn’t very frequent and there’s nothing on Sundays. Trains: the best rail station with a Sunday service is Burscough Bridge on the Manchester-Wigan-Southport line. On Monday-Saturday there are also New Lane on the same line (but with fewer trains stopping) and Rufford on the Ormskirk-Preston line. Walkers and cyclists: Please check the Camp Frack website. You can find a map of the site here. Direction if making your own way to the site (Mere Brow, Nr Tarleton, Lancs PR4 6JX or 53.657966,-2.887566). And don't forget to join us on facebook and help us promote the event!